Microsoft released the Training Kit for developer yesterday. 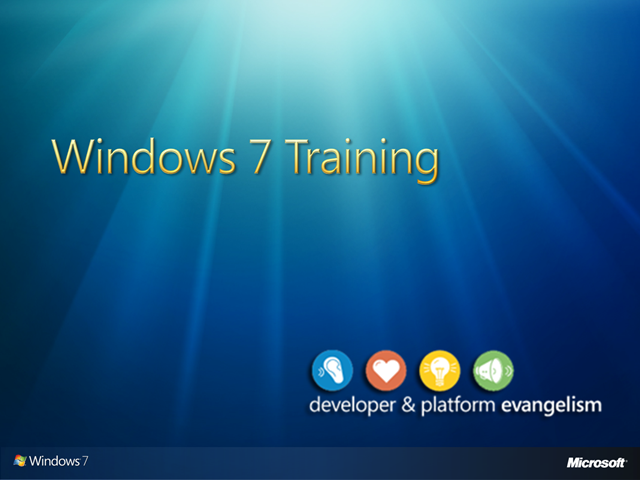 It contains presentations, Hands on Labs and democode for the new Windows 7 APIs. The Traing Kit is directed towards to C++ developers, but Microsoft offers Wrapper classen for .NET. Some API will be integrated into the .NET 4.0 Framwork, e.g. Multitouch input, the taskbar & jumplists in WPF. With the Wrapper from Microsoft you gain access to the other APIs. The wrapper classes are open source (and are not supported by Microsoft! ).